I'm back with the last three upcoming Great Lakes Lacquer shades. 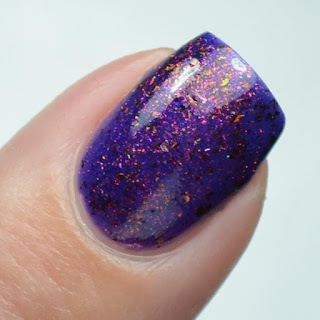 Today's post features the three Polish Con limited edition shades that will debut on 9/23. I highly recommend finding a mule if you are unable to attend the event in person. These are not to be missed! Notes: Chicago Shenanigans is such a pretty, soft lilac. The shimmer really pops as you move your fingers around. Finish: Violet build-able jelly with red to green shifting shimmer and red to bronze multichrome flake and a touch of scattered holo. 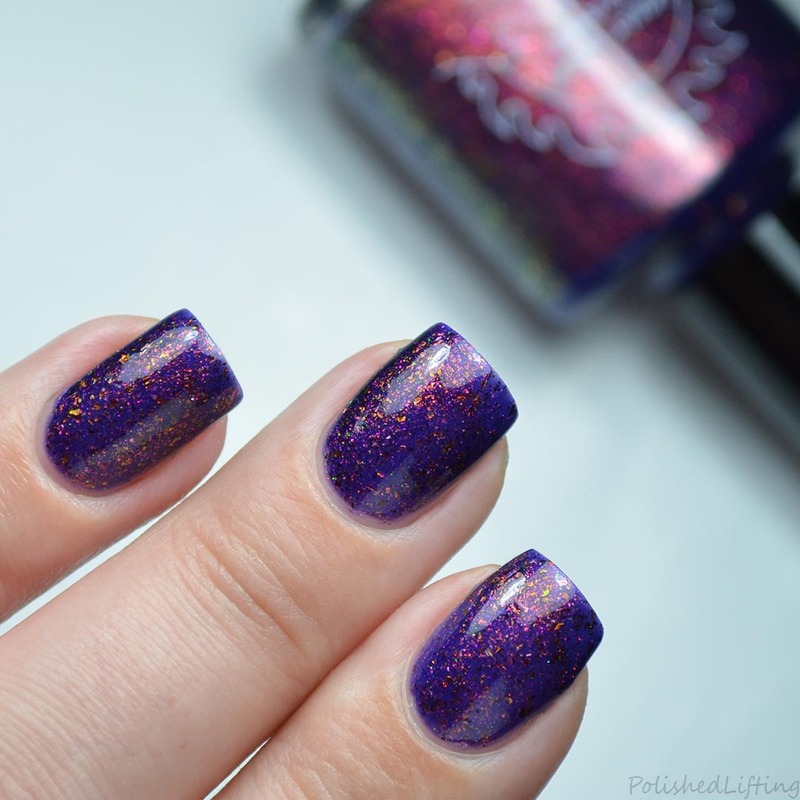 Notes: Festival Of Fantasies is my favorite of the Polish Con LE shades. I'm just a sucker for contrasting colors, and the purple base with multichrome flakies is something else entirely! Notes: Meet Me At Shedd is a light, refreshingly cool shade. I really enjoy the larger multichrome flakies in this one. Not many brands seem to use this size flakie, and I really think that's a shame. The Great Lakes Lacquer Polish Con Chicago 2017 LE shades will be available for purchase at Polish Con on Saturday, September 23. They will also be listed in her store on 9/30 at 2pm EST for one week only. 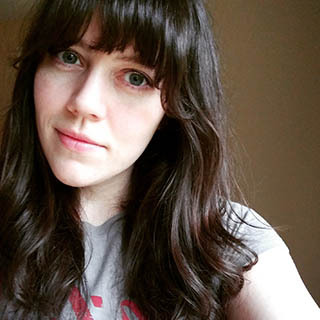 Meet Me At Shedd is extremely LE and will not be remade if it sells out at Polish Con. If this happens it will not be listed on the website. 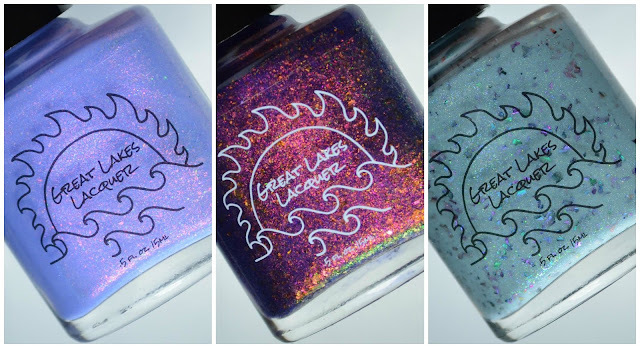 If you enjoyed this post you might like Great Lakes Lacquer Mermaids Of Lake Michigan | September 2017 LE and 31dc2017 - Thermal Flowers feat. Great Lakes Lacquer Festival of Fantasies.